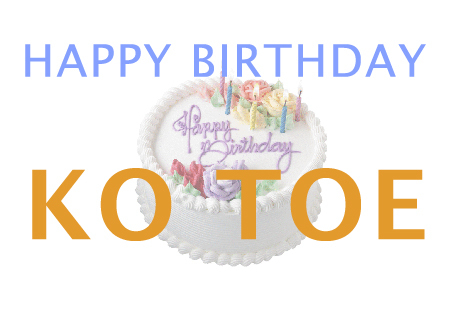 Happy Birthday my brother, Ko Toe ! As you make all your birthday wishes, I wish they all come true. Happy Birthday, brother !!! 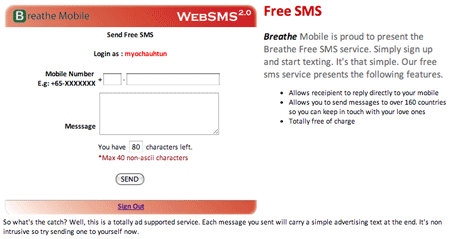 I did not use SMS free service from web before. I just came across from hongkiat blog posted about Chawt, a free SMS sending service from online that let you sent 80 characters message to any number. It requires signup and you need to activate your account with the activation code that they sent to your mobile number. Once you activate, you can sent SMS to any number over 160 countries. Message comes from your mobile number when you sent from Chawt so that they can reply to you back. Try Chawt! 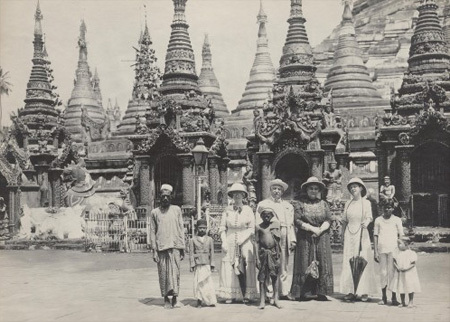 I found so many great old photos which are probably taken when our country was colonized by British. 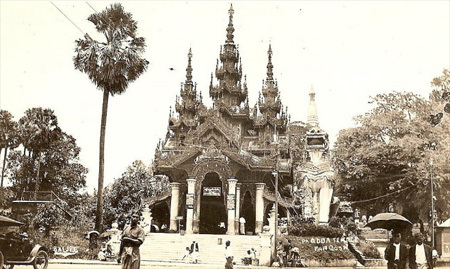 Photos are taken in various locations especially Yangon, Mandalay, Irrawaddy and Meiktila etc. It has painting as well. All the photos are undated so I can not know exactly when these photos was taken. It is worth to check out and keep, at least. 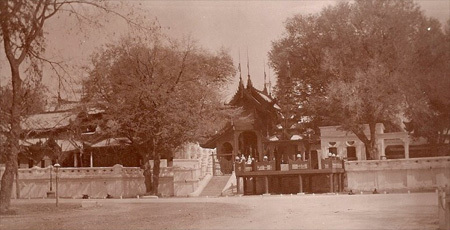 visit the site mandalaygallery.com to see more photos. 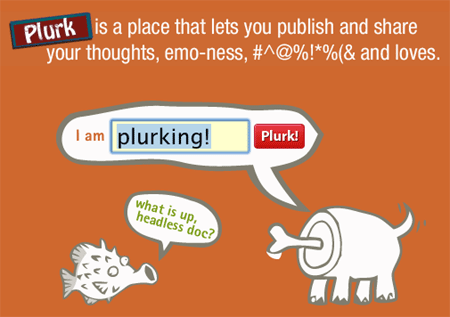 Plurk is a new micro blogging service where you can share thoughts, links, YouTube videos or whatever in 140 characters. It is just like twitter but slightly different. I just found it from Problogger and start playing around with it. 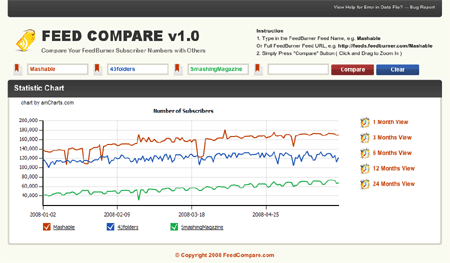 Feed compare that lets you compare Feedburner subscribers count of up to four blog feeds in a row. 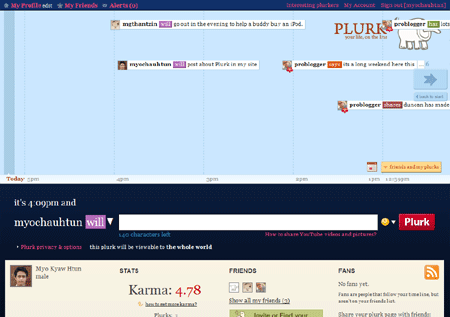 To compare feed, it is pretty simple, just put the url of the feed or the name of the feed and then click Compare. You can compare stats from a month to two years. If you want to compare your feed to other, you must have the Feedburner Awareness API enabled.